Owning an Audi means something different to every driver. For some, it’s a source of independence while for others it’s a means for fun. While Audis certainly aren’t the most expensive cars to run, they’re definitely not the most affordable either. Rather than switch to a less superior brand, you should find ways to make your vehicle cheaper. With that in mind, here are six money-saving tips to slash your motoring costs. When most consider costs associated with Audis, their minds immediately go to fuel. You can’t drive without it, after all. While this is a substantial expense to contend with, thankfully there are plenty of ways to save some money. The easiest and most obvious way to save is shopping around for the best price. You can also get loyalty cards and collect points to get money off fuel in the future. Driving safely is always important, but if you want to cut motoring costs, it’s absolutely vital. While a car accident lawyer can help you when an accident isn’t your fault, you’ll be left paying a large bill when it is. That’s why you should always stick to speed limits and follow the rules of the road. Pay extra care in harsh weather when conditions are dangerous. Having your Audi cleaned for you is certainly a luxury, but it’s one that you may not be able to afford. Even a relatively cheap cleaning company can cost you hundreds each year, so get out your sponges and buckets and do it yourself instead. You can also learn how to do basic repairs and maintenance work, so you don’t have to see a mechanic for every small issue. Before attempting repairs yourself, you need to consider whether or not you’re really up for the task. If you’re feeling a little unsure of yourself and don’t really know what to do, then always take your car to a professional. The last thing that you want to do is make a small problem worse and cost yourself even more money in the long run. 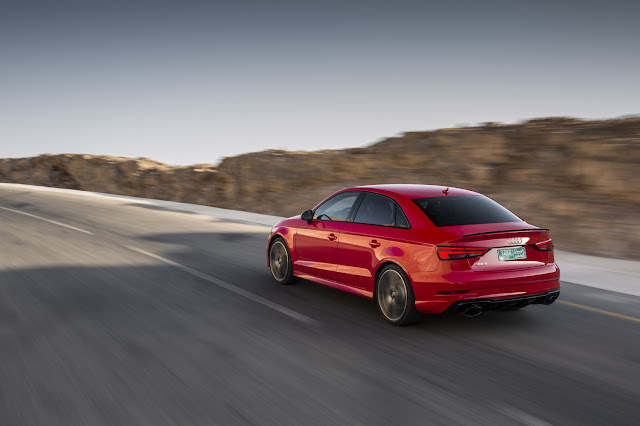 While there are plenty of ways to save money on car insurance for your Audi, paying your bill annually is certainly one of the best. By paying your coverage each year instead of each month, you avoid the pesky interest that increases the cost. It may not be possible for you to pay your insurance in one lump sum like this, but if you have the money to do so it’s more than worth it. Driving to work alone each day can get boring pretty quickly, so see if anyone you work with would like a lift. This gives you someone to talk to and can also cut your motoring expenses almost in half. If you split the cost of fuel with your new travel companion, you both save money on the commute and reduce your carbon footprint, too. Audis aren’t the cheapest cars on the market, but they also don't have to be so expensive. Hopefully, with the advice above, you can slash your motoring costs and save some money.